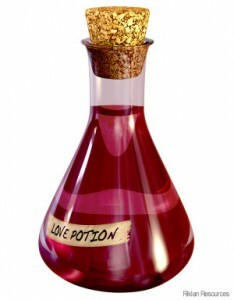 How do you put a love spell on someone you’ve never even met? Even harder, how do you make an employer, who has seen hundreds of resumes and interviewed a dozen candidates, fall in love with you before he sees you? Can you put a magic potion in his drink? Send him his favorite coffee and pastry combo every morning? Well, there’s a very slim chance that might work. But you don’t have to buy a month’s worth of coffee for the advice I am about to give you. You can make a potential employer fall in love with you–and it won’t cost you a penny. The search for the one. The employer is looking for a person with a specific job experience and skill set. You, on the other hand, are looking for a job in your field of expertise. The employer ploughs through hundreds of resumes from candidates who don’t even have the experience and credentials he’s looking for, but then… he finds your resume. Remember, recruiters and companies already have hundreds of resumes in their “rejected” list. Don’t waste their time and yours. Apply for a job where your experience matches the requirements in the job post, compatibility is important if you want the employer to fall in love with you. If you want someone to fall in love with you, you’ll need to know what they need. In the case of the employer, you can make him fall in love with you by making an effort to understand what they’re looking for in a candidate. Ask! Call the company, check their website and LinkedIn company page. Don’t just assume you know what they’re looking for based on the job ad. You need to gather this information before you send an application and definitely before the interview. Use this intel to best align your skills and work experience to the company’s expectations. You can even portray the best side of your attitude and make the recruiter see how your own goals align with the company’s mission. Write a targeted cover letter and resume that leads with your strength. Okay, you probably already know this. But I’m including it here because I still see many resumes that begin with educational backgrounds and job history. No, no, no. You’re going to miss your chance at love at first sight if you don’t start the resume with your value proposition statement. Also, don’t use the recruiter’s first name unless you have a prior connection. And to ensure your document doesn’t get lost in the huge sea of resumes they receive, address it to the right department and specify the position you’re applying for. Don’t forget the basic niceties. Your potential employer is a very busy person. That’s why they’re hiring you to do something for them. The interviewer will greatly appreciate your promptness in returning their emails and calls, especially if you show up to appointments on time. Don’t reveal your target salary. If you want to ask for a premium pay, and I’m sure you do, give them a chance to see how amazing you are first.